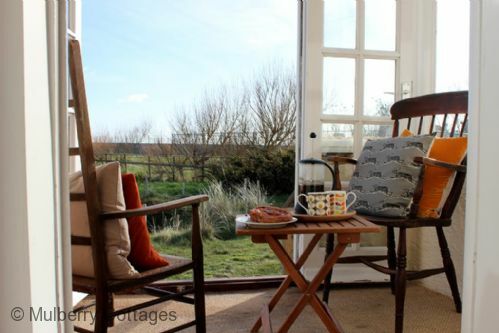 Greycot was built in the 1930's as a seaside holiday house and is still owned (and loved!) by the family who built it! 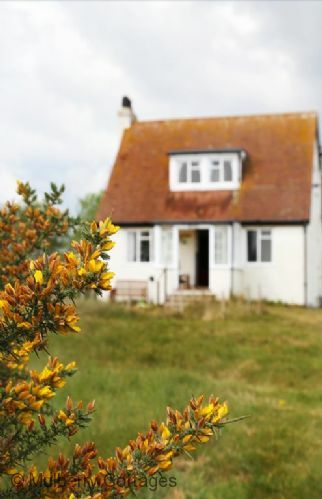 This beachside cottage is ideally situated with direct access to the sea and is the perfect place to base your long summer holiday or short break. The large pretty garden has a terrace area, the ideal place to sit and enjoy a BBQ and a glass of wine. 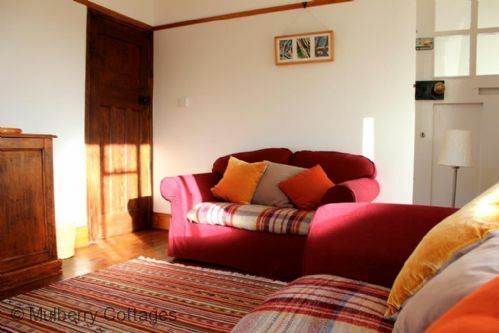 This fabulous Kent holiday cottage offers flexible accommodation having 3 bedrooms and is ideal whether you are looking for a short break with friends or a longer family holiday. 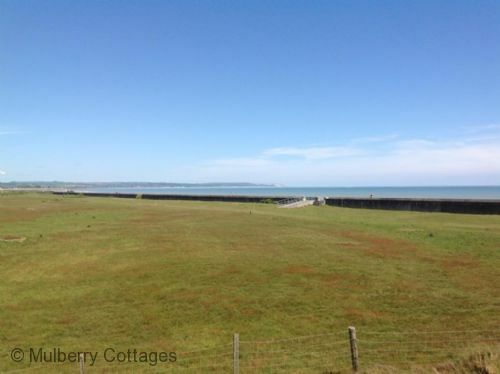 Direct access to the beach - take your dog for wonderful walks! 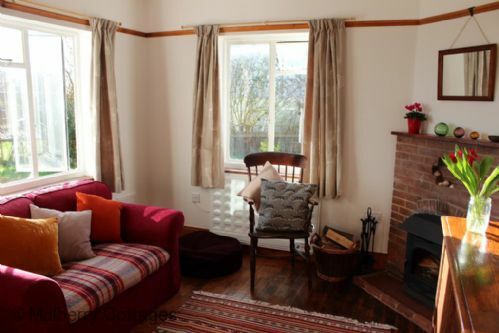 Sitting room: sofas, fully working wood burning stove (starter logs provided), TV with DVD player. Kitchen: electric fan oven, electric hob, microwave oven, dishwasher and toaster and built-in fridge. The dining table is also located in the kitchen. The larder houses the washer/dryer and freezer, an ironing board and iron. 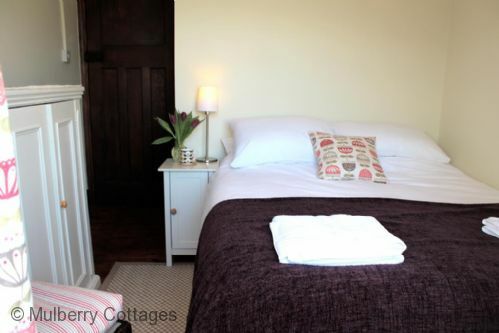 Bedroom 3 (sleeps 1 + 1) Single bed (twin/double beds available on request at least 7 days prior to arrival). Sea views. 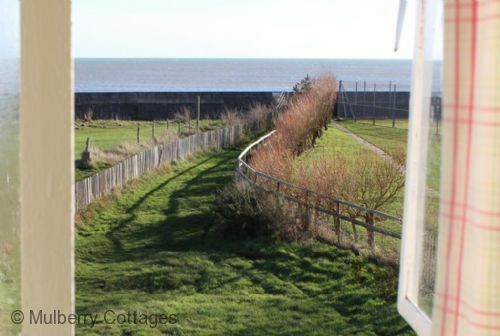 Seafront at the end of the garden! 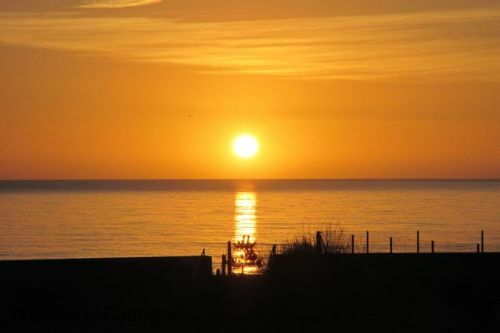 St Mary's Bay lies on the South East Coast of the Romney Marsh between the villages of Littlestone and Dymchurch. There is an abundance of places to go and things to explore. The Romney, Hythe and Dymchurch railway offers fun for all the family, whatever your age. We have had a fantastic time at Greycots. It has been a lovely long weekend with all the family with the smallest member loving the access to the beach. We took a walk into Dymchurch along with the light railway which our youngest loved every minute! Very peaceful and beautiful surroundings. We are here again, as we enjoyed our stay so much last year! 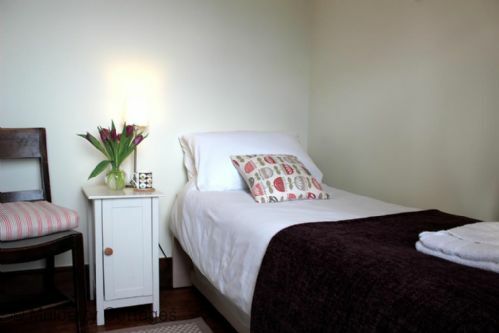 Greycot has such a lovely welcome, clean and tidy, with sunflowers, wine as well as biscuits for your stay! We have had 3 lovely days here and we cannot wait to visit again! 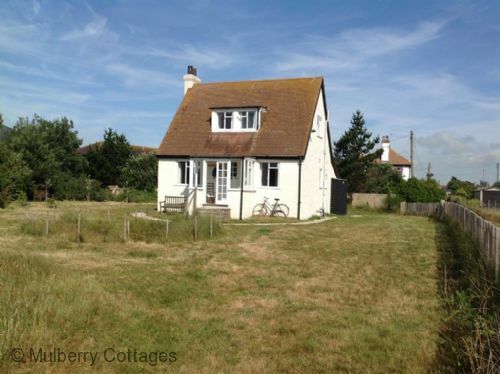 Such a lovely cottage in a superb location, our dog Blue squeaked with delight as we opened the gate on to the beach. We've had lovely walks to Dymchurch and Lydd and enjoyed a nostalgic trip on the railway to Dungeness. Greycot is well equipped and we wanted for nothing. 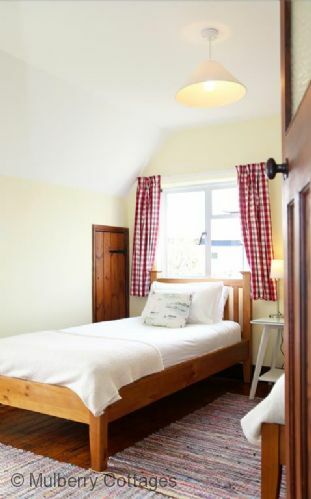 Comfy beds and cosy homely tooms we do not want to leave! 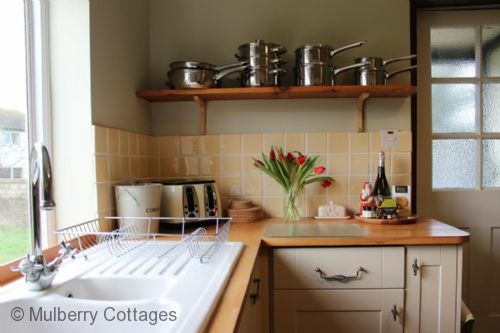 We have had a great time here at this lovely homely cosy cottage! We will definitely be back later in the year for a longer break. The last few days have been most enjoyable. From playing Cludeo next to the cosy fire to adventuring the outdoors (and getting very muddy). The location has been the best part where the dog can roam free on the beach and in the garden. Thank you for everything, we hope you have a wonderful New Year in 2019! We love Greycot and have done for the past 50 years! 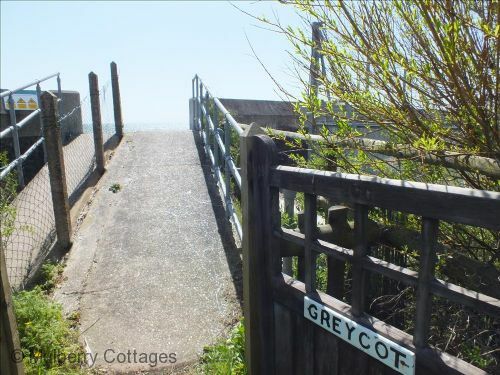 We used to come here with our parents and grandparents when we were children, and Greycot evokes so many happy memories. Returning this weekend has been so special and being able to share with my own children and my siblings with theirs has been wonderful. Thank you for keeping so much of Greycot's charm and making us feel like time has stood still. Greycot holds a very special place in our hearts and I hope we can return for many years to come! We have had a wonderful 2 weeks at the lovely Greycot! Nature around the house is beautiful, and the old cities nearby are worth a visit. Greycot is full of charm and we thank you for very much for everything! What a pleasurable experience, what a cosy home away from home! We enjoyed sitting at the dining table as a family and thank you for the wine and milk - very thoughtful. Lovely, cosy cottage, very handy for all town essentials. Ashdown Forest is literally on the doorstep. Flowers, wine and milk were a thoughtful touch! 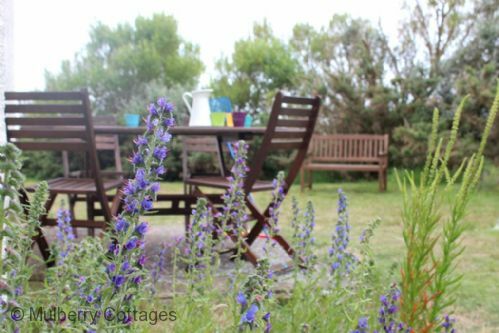 Thanks so much for the use of your lovely cottage - very well equipped and great access to the beach. Super walk from the house to Dungeness via the pub. Thanks again. We have had a fantastic time at Greycots. It has been a lovely long weekend with the smallest member loving the access to the beach. Very peaceful and beautiful surroundings. Many thanks. We have had a lovely stay at Greycot and all enjoyed it very much. The sun hasn never stopped shining. Had a wonderful walk to Dymchurch and lots of time was spent on the beach, but most of all out 12-year-old dog, Ruby, has had a fantastic time. Thanks a lot. We are so happy to have spent such a lovely holiday on Greycot. 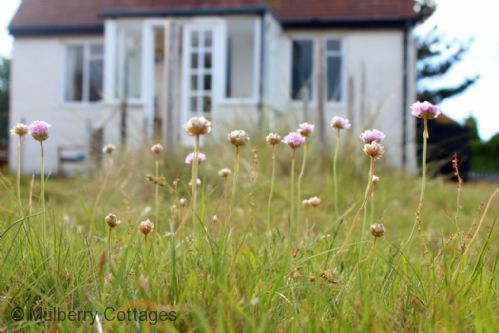 The weather has been amazing and the cottage as always is one of our favorite places to be by the sea. We hope yet again that we will return again next year. Thank you again. I had a fantastic week at Greycots, as always. Lots of bike rides, walks on the beach, swimming in the sea and even some kayaking. Looking forward to staying again soon. We loved the house. We loved the garden and the foxes. Our dog loved the beach and I swam with my dog in the sea. Our dog loves running around in the garden. I loved the bed I slept in. Thank you, we loved Greycot. 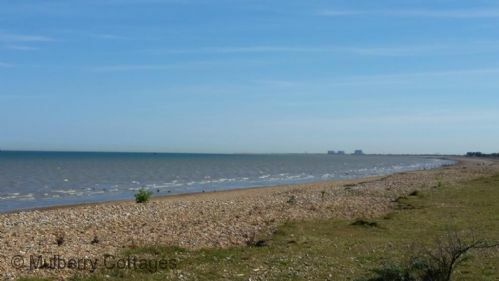 The ride/walk from West Hythe to the sea is great, as is Dungeness. Such a beautiful house, thank very much! We are back for the second time because we love it so much. We had a very relaxing time and so did the dog! She loved running on the beach and in the garden! Thank you. Thank you so much for our stay in fantastic Greycot. It was amazing, it feels like we want to stay here forever. There was really nothing that made you feel its better at home, which to me is the ultimate holiday. Thank you for the loan of your delightful cottage. We have has a wonderful week. Thank you also for the welcome packs, it was great being spoilt, we just wish that we were staying longer but hope to come back again soon. All of our family- parents plus 4 children, enjoyed this holiday extremely! 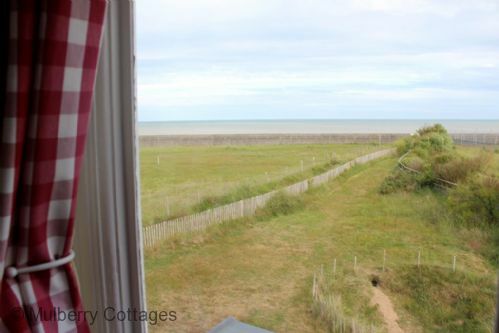 We loved the secluded space here - not as many tourists as there are in Dymchurch- and the direct access to the sea. We had 2 weeks of perfect sunshine and such a variety of activities! We even became National Trust members and visited various sites. What a lovely spot and beautiful house, thanks a lot! 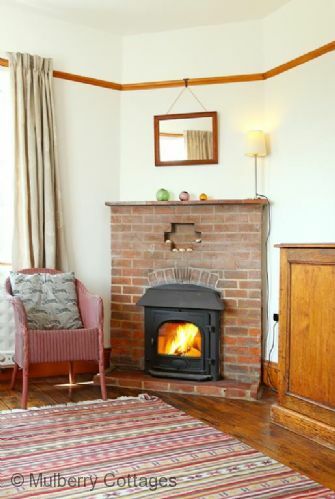 We have fallen in love with your charming and delightful 1930s beach home. 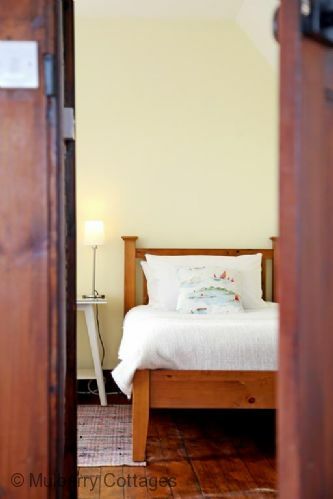 From the period features, to the modern comforts, we have been cosy and relaxed here. 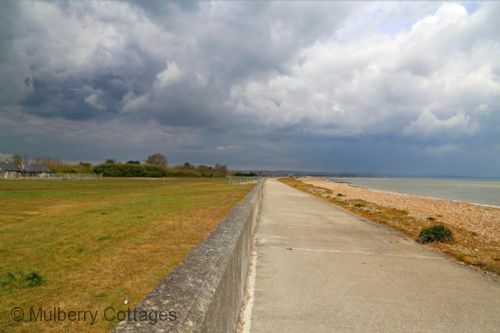 We have loved the perfect location by the sea and profited from many an evening stroll, admiring the changing light and huge skyscapes. Thank you very much! Many thanks for the warm welcome - a very nice touch. 3 generations have enjoyed their stay at Greycot. The children & their granddad loved the wildlife. Good walks to Dymchurch. A lovely spot, great holiday - we look forward to a return visit. Thank you for the lovely welcome. We've had a lovely week at Greycot. What a lovely spot to stay, better the expected. Very cosy, everything we needed. Great walks to Dymchurch. We even did the 'Meet & Greet Alpacas' close by. Lovely weather too. Glad we found you. What a wonderful house you have...we immediately felt welcome and very much 'at home' thanks to the lovely details. The children couldn't stop smiling in their cosy bedroom & playing outside in the garden or going to the beach. This must be on the of most picturesque spots by the seaside in this region! Thank you very much, we hope to come here again. A very enjoyable stay here helped by the unusually lovely weather for the time of year. The history of this peaceful area is pretty remarkable - from World Wars 1 and 2 and post war years. 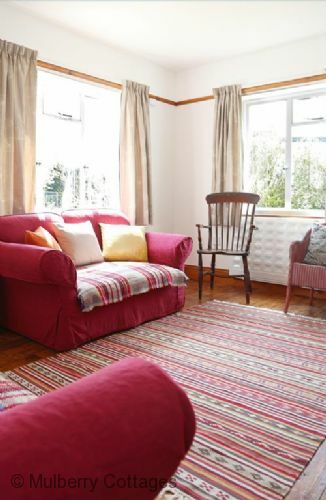 Cosy and relaxing family retreat in a beautiful cottage. We have had a wonderful week here. Greycot is lovely - it had everything we needed. Thank you. 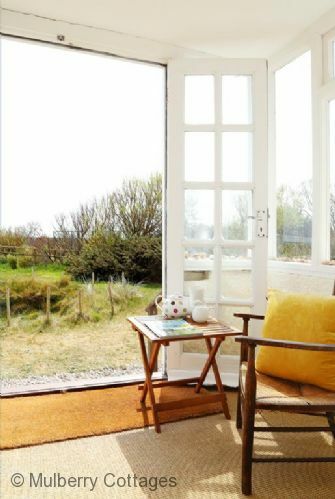 We have fallen in love with your charming and delightful 1930's beach home. 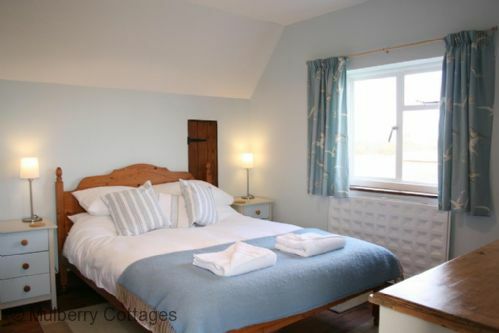 From the period features to the modern comforts, we have been very cosy and relaxed here. We have loved the perfect location by the sea and enjoyed many an evening stroll whilst admiring the changing light. Thank you very much. Many thanks for making our stay at Greycot a very pleasurable one. It was great to arrive being greeted by the beautiful Christmas tree and other decorations. It is a lovely place, the views are stunning. The beds were very comfortable and all in all we had a great time. A very enjoyable stay here helped by unusually lovely weather for this time of year. The history of this peaceful area is pretty remarkable from World War One and two and past years. Thank you for making our honeymoon so special! The cottage is lovely and everything we needed was here. We will miss the sound of the sea so close to us! We will be returning for sure. Thank you for a wonderful stay. Although it was only two nights, it was an awesome weekend and we all had a lovely time. I love this house and so will every one else! We have had a lovely half term break, Greycots proximity to the beach being just what we needed. Thank you for the welcome pack and lovely clean cottage, we have felt really at home here. We enjoyed our stay at Greycot. Although the weather was mild for October, we still made use of the wood burner! The kids loved the freedom to run around and liked rabbit spotting in the garden. We had a fabulous stay, your house is so lovely and relaxing the sun was scorching hot! The closeness to the beach was perfect to catch the tide and very good for those with mobility problems when fishing. We spent the weekend here to celebrate a special birthday and have thoroughly enjoyed a peaceful, relaxing few days wishing we were staying for longer! Greycot is the most lovely house and being so close to the beach is such a lovely bonus. Thank you for the welcome! We certainly hope to visit again. This was the 2nd time we stayed here and everything was as lovely as the 1st time. The kids loved the garden and the sea. We have been lucky that the weather was great. Thank you for letting us stay in your cottage. What a gem! We enjoyed our stay immensely. It has everything we could wish for. The house is so well equipped. Grandma and Charlie were at the beach every morning and our 3 month old girl got her first take of the seaside. We'll look back on this week with fondness and hope to return one day. What a lovely place to be! We've spent a fabulous week at Greycot. The weather was beautiful and allowed us to lay on the beach the whole day, reading books playing volleyball and swimming in the sea. We couldn't have asked for a better place to stay for our holidays. Many thanks! Thank you for the opportunity to stay in your lovely house. I couldn't have chosen a more lovely place to stay with my amazing family who treated me to an early 60th birthday weekend here. We will go back to Ireland with beautiful memories. Thank you once again. What a wonderful house you have! We immediately felt welcome and very much at home, thanks to the lovely details. The children could not stop smiling in their cosy bedrooms and playing outside in the garden as well as going to the beach. This must be one of the most picturesque spots by the seaside in this region! Thank you very much and we hope to come here again sometime. We have had a lovely time staying in Greycot again - we always look forward to coming here. The weather was lovely on Friday and even getting caught in the rain on Saturday was fun! We do hope to return again next year. Thanks again. Thank you for the opportunity to stay in your lovely home. I couldn't have found a more lovely place to stay with my amazing family. We will go back to Ireland with wonderful memories. Once again Thank you. We enjoyed our stay in your lovely Greycot. Greycot I'm so appreciative of the welcoming touches, flowers, wine and chocolate. It was particularly special to come back to this area having holidayed in Greatstone since the 1980's. Thanks again. Thank you - A lovely holiday cottage & wonderful to wake up to the sound of a Mistle Thrush every morning. Thank you for a lovely stay, all too short but very relaxing. Enjoyed watching the rabbits and birds - a little haven for them! All was much appreciated. We have had a wonderful half term in your lovely cottage. 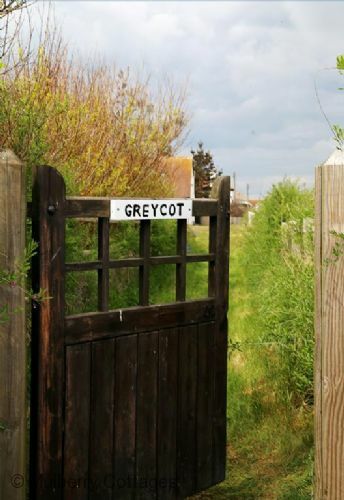 Greycot is a fantastic, cosy, quiet and private: everything we were looking for to relax and unwind. The direct access to the beach is such a unique feature, and we've had great fun rabbit spotting! Thank you for the welcome hamper, and the fresh flowers. We are very sad to be leaving! 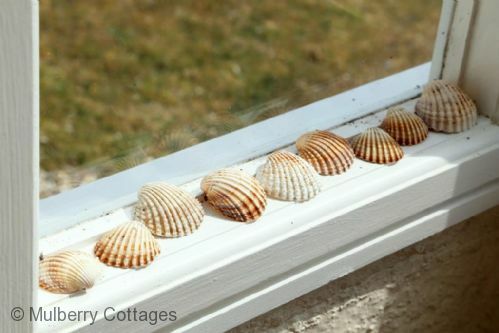 Quietly tucked away in a beautiful countryside, your cottage has been warm, cozy and extremely delightful - from the carefully decorated seashells to the multitude of useful facilities. Thank you for the lovely little place. Coming from a variety of backgrounds and widely traveled, Greycot surely took me back to my childhood days in Kenya, when as a child I loved reading about adventure along the English coast via The Famous Five by Enid Blyton. 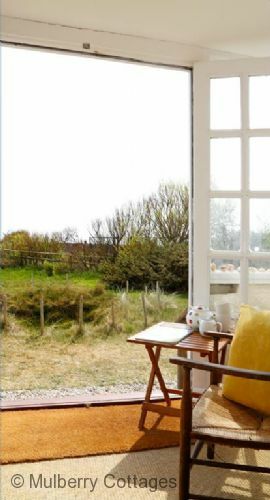 This cottage was like a scene from such books. Will cherish every moment spent here. We love this place so much and will come back year after year; it's an absolute joy and the children love it! Thank you once again - Greycot is the best! Thank you for a lovely cottage and all your welcoming touches. We had a lovely time and enjoyed being so close to the beach and watching the rabbits. Thanks again. We have had a lovely week here. Weather quite good, exciting thunderstorm and flash flood in the garden on Thursday morning! House is charming and lovely and clean. Thanks for the welcome pack. I came here as a small child, 40 years ago. It hasn't changed much in some ways but great to have a shower! Thanks again! We had an amazing week at Greycot! It is a really nice cottage in a lovely surrounding. Our kids of 5, 3 and 1 year enjoyed and loved the garden so much! The welcome goodies made this house feel like our home immediately. We had a great time and we hope to be able to come back some time! Thanks again! Well, here we are agin for another year - it shows how much we like it! As usual we found the house very comfy and clean with everything we need - nice beds and towels etc. Our grandson managed to spend a few hours at a good golf club close by, with his father. Thank you also for leaving all the 'goodies' to welcome us! 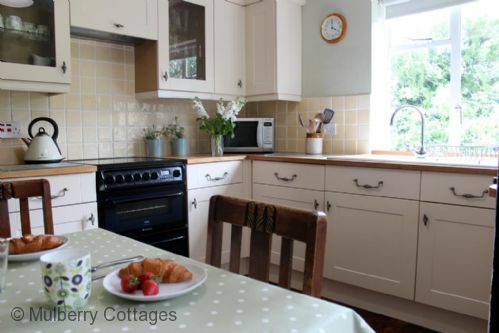 We have had a great week in this lovely cottage, we have really enjoyed our stay here. Greycot is utterly charming, I have had the most gorgeous time with my kids of 2 and 4 years old and parents. The garden and 'pit' produced endless fun for the kids and we were blessed with lots of sunshine. The house is really comfy and provides everything you could possibly need.... Thank you so much for a wonderful holiday! We have really enjoyed our stay in a lovely cottage. Generally good weather with plenty to do, including flying a kite in the strong winds we had at the beginning of the week. Our granddaughter, aged 4, has loved seeing the rabbits and she would like to live here! We have thoroughly enjoyed our stay in this charming cottage. I particularly enjoyed watching the rabbits hopping around the garden and sitting out on the porch. The kids loved playing in the garden and popping down to the beach to collect shells. 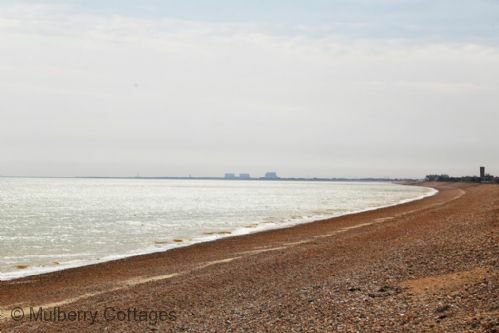 Greycot's location is ideal for trips to Dungeness, Hythe, Folkestone etc. We had a fabulous week here in Kent and found Greycot a lovely home from home. Thank you very much for welcoming us with the wine, cake, cookies, jam & milk. Nice touch! Thank you for a wonderful stay. The house is beautiful and we have had wonderful weather. Playing in "the hole" and rabbit spotting have been big hits along with the never ending sun, sky and sea. Had a really relaxing few days in Greycot- just what the doctor ordered! Thanks for the lovely Easter Eggs and shortcake plus, of course the wine. Visited Dungeness and the villages in the Marsh. Spoilt ourselves with an amazing meal at Rocksalt in Folkestone. Thank you! What a wonderful Place! We had a fabulous time in this beautiful and very comfortable place. The children had so much freedom and were in heaven. We will most certainly be back! Thank you. We have had a lovely week and my Mum is now fully rested and relaxed. The weather has been kind and we have visited many places. Enjoyed watching a pair of thrushes and of course the rabbits. Enjoyed walks to Dymchurch and Littlestone. Many thanks. Thank you so much for creating such a charming place for our New Years Eve stay! The cottage is very "Enid Blyton" and proved a great place for us all including our two small children. Wonderful to be right on the beach. Nice touches - the Christmas tree, prosecco, bread, jam etc and games. Beautiful cottage, lovely welcome! The Prosecco, chocolates and Christmas Tree were far more than we expected and made us feel so at home from the moment we entered Greycot! We would love to come back in the summer to see if it is as beautiful in the winter. Thank you! We have had another wonderful weekend here. Greycot has worked its magic and we are now relaxed, refreshed and inspired by our few days. We had a lovely lunch of fish and chips at "The Pilot" at Dungeness and a walk to Derek Jarman's Cottage in brilliant sunshine. Last night the sky was so clear and Andy saw many shooting stars. Frosty and clear again this morning, we walked on the beach to Dymchurch. Thank you. It was lovely to have met you at Greycot and learn the story of your family and the house. This really gave an extra dimension to our stay. We love it here, we had wonderful visits to the beach, Hastings, Dungeness and Battle etc. This was our first visit to the UK with the 5 of us but we will certainly be coming back. During the nights we could really enjoy the lightening and thunder and we woke up with the sound of the seagulls- what more could we wish for? We could not have asked for a better place to stay for our holiday. Perfectly located to get all the attractions we wished to visit, a stones throw away from the beach and a beautiful cottage. Many thanks for the welcome treats and the use of of your cottage, you will have our envy for some time to come! Although we haven't met in person, living in your cottage for a week has made me feel that you are an angel on earth. 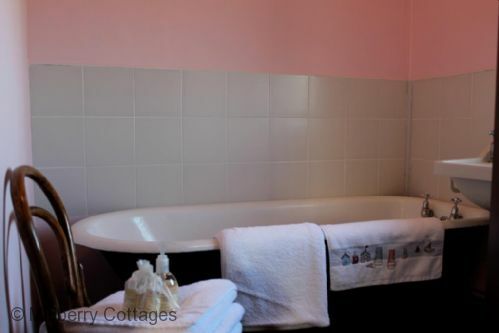 The thoughtfulness, devotion and colour you have put in your Grandfathers cottage is visible in every little detail. Your heart is in the sunflowers which you placed in the living room, in all the useful and delightful details. You must know that my daughter saw England for the first time in her life. She immediately settled in, feeding the three rabbits with carrots, collecting shells and stones and watching the grasshoppers in your "hole". About a year ago I found a message in a bottle. The man who had thrown in into the sea was from Ashford. The result was a delightful time and friendship and through Greycot you are part of this wonderful story! We hope to be able to come back again and thank you wholeheartedly for everything! We have had a really lovely time visiting places we have never been to before. Fabulous house and as said before - access to the beach was brilliant! Refreshed and ready to go back to school - adults and children! This is such a beautiful house. Its feels lived in and yet it feels like nothing has been touched since the 1930's! Waking up to the sound of the sea was magical; the private alley onto the promenade was particularly appreciate. 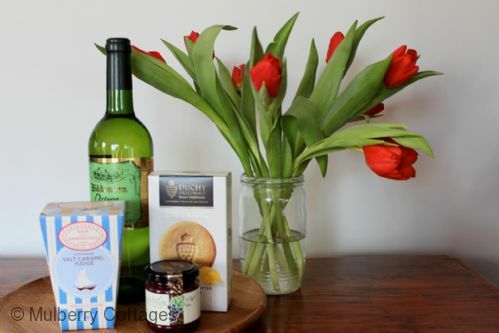 When we arrived the first thing I saw was the bright vase of sunflowers on the mantelpiece and going on to investigate the kitchen the delicious box of truffles, preserve and bottle of wine. This will be a holiday we remember for all the right reasons.Thank you for making us feel so welcome at Greycot. Wow! What a wonderful week we've had! The cottage is gorgeous, the location amazing, thank you. 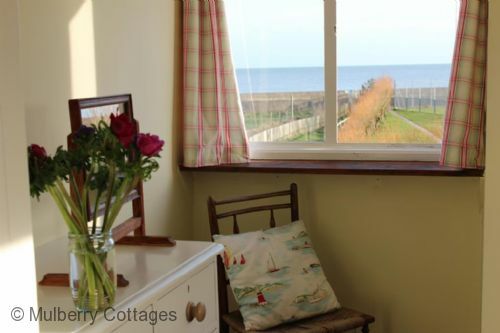 We've all had such a fantastic week, the weather has been fabulous and the cottage so cosy and perfect and to have your own private beach, who could wish for anything more. ( The birds and rabbits were lovely). We will definitely be booking for next year. What a wonderful week we have all had. 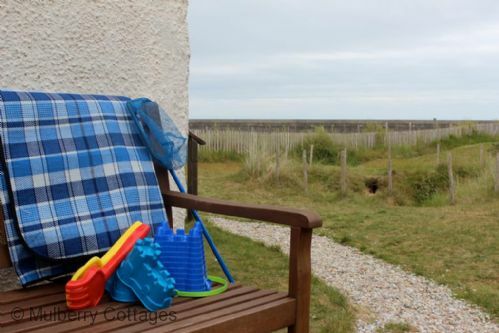 My grandchildren have loved spending time on the beach and in your cosy cottage. Thank you for sharing your cottage with us (from my Grandson James). I was able to hold a real fish for the first time and collect jelly fish (from my Grandson Daniel). Thank you for the welcome pack and we hope to return again in the future. Very sad to leave this beautiful cottage, very clean and had everything we needed. We had a lovely time in your cottage. The weather was not cooperative with a lot of winds and showers, but that didn't stop our girls going to the beach everyday! 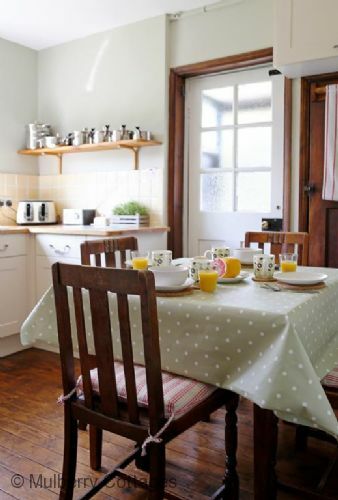 The cottage was very clean and tastefully decorated. The fresh flowers and wine etc made us feel very welcome. The extra bedroom made it possible for friends to stay over for a few days. Thank you for the warm welcome! Although we had a few hiccups we had a lovely week! We loved the cottage and the "private" beach is great. I saw a fox one morning and a lot of rabbits! The neighbours are very kind and helpful. Wish you all the best! Thank you for the lovely welcome pack. It was great to be able to try some wine from Kent before heading off to the Vineyard. Lovely trip out - try the 13% cider. Great cottage and base for our visit to Kent again. The best castle (Dover) and beaches! 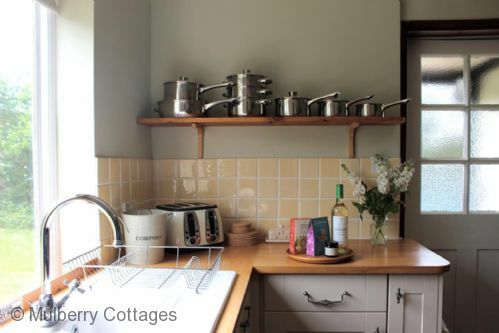 Very well equipped kitchen and cosy house. Thanks again! We had a great time in this very charming cottage. It was like a home away from home, all our needs were catered for. Our three year old loved playing in the garden and exploring the hole. We had fantastic weather and a lovely relaxing weekend - Thank you! This was our second stay at Greycot. It was as beautiful as I remember. We were hiding coloured eggs (that is what we do on Easter in Germany) in your garden. It was great and of course we are thinking of coming back, maybe in 2016. The weather was often sunny, so the kids were in the water! Thank you for it all. Michael (my six year old son) and I had the whole house to ourselves and we loved the cottage and the amazing long garden. What a treat to have our own path to the beach! Bright, sunny days. Thank you for the chocolate bunnies - very thoughtful. Very comfy cottage and the spring sunshine was perfect! Had a great week with amazing weather. The Greatstone beach is sandy and safe with lovely fish and chips. Dymchurch amusements are worth a visit too. Thank you Greycot for being home for a week. Since our very first visit approx 27 years ago we we found Greycot just as delightful - we love it! 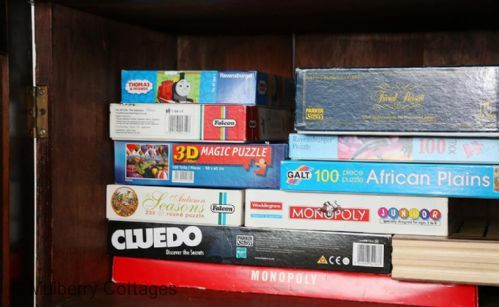 As adults returning, the cottage is still has the same charm for us and brings back so many happy memories. We plan to return again soon. Late departures may be possible, subject to availability. Additional charges may apply. Please be advised guests must clear up dog waste from the garden, otherwise charges will apply.